The Fordham University Rams continue their 2014-2015 Atlantic 10 season, the 112th season of varsity basketball at Rose Hill, by hosting the Saint Louis University Billikens in the historic Rose Hill Gym on Saturday, February 7, at 4:00 p.m. The game will be televised on the NBC Sports Network with Mike Corey (p-b-p) and Dalen Cuff (color) announcing and also broadcast on WFUV and http://www.wfuvsports.org. Follow the links above. Fordham enters the game with a 5-15 overall record, 0-9 in the Atlantic 10, following a 78-72 conference loss to Massachusetts on Wednesday. Saint Louis enters the game with a 10-12 overall record, 2-7 in the A-10, after a 68-61 league overtime win at home over Saint Joseph’s on Tuesday. The game will be the annual White Out at the Rose Hill Gym and all fans will be given a special white Fordham basketball t-shirt for the occasion. The Rams will celebrate the National College Basketball Autism Awareness Day during the game, raising funds for the Fordham chapter of Autism Speaks. Autism Awareness in College Hoops is based on the idea of two coaches who have a passion for spreading autism awareness. Towson’s Pat Skerry and Marshall’s Tom Herrion, both who have sons on the autism spectrum, started the program and it quickly spread. The Fordham and coaching staff will be wearing the Autism Speaks puzzle piece to support the cause and donations will be accepted at the game. The game will take place following the annual Hall of Fame induction ceremony. This year, seven new members will be added to the Fordham Hall of Fame, including former men’s basketball standout Marcus Stout, GSB ’08, the sixth leading scorer in school history. * Fordham freshmen Eric Paschall and Chris Sengfelder are the only set of freshman teammates to be averaging more than 10.0 ppg and 5.0 rpg. Paschall is third in the Atlantic 10 in scoring with a 17.1 ppg average while also pulling down 5.4 rpg, while Sengfelder is averaging 10.4 ppg and 7.0 rpg. The only other freshman combo that was averaging 10.0 ppg and 5.0 rpg were Purdue’s Isaac Haas and Vince Edwards but Haas is now averaging 8.9 ppg and 4.0 rpg while Edwards is averaging 9.3 ppg and 5.0 rpg. 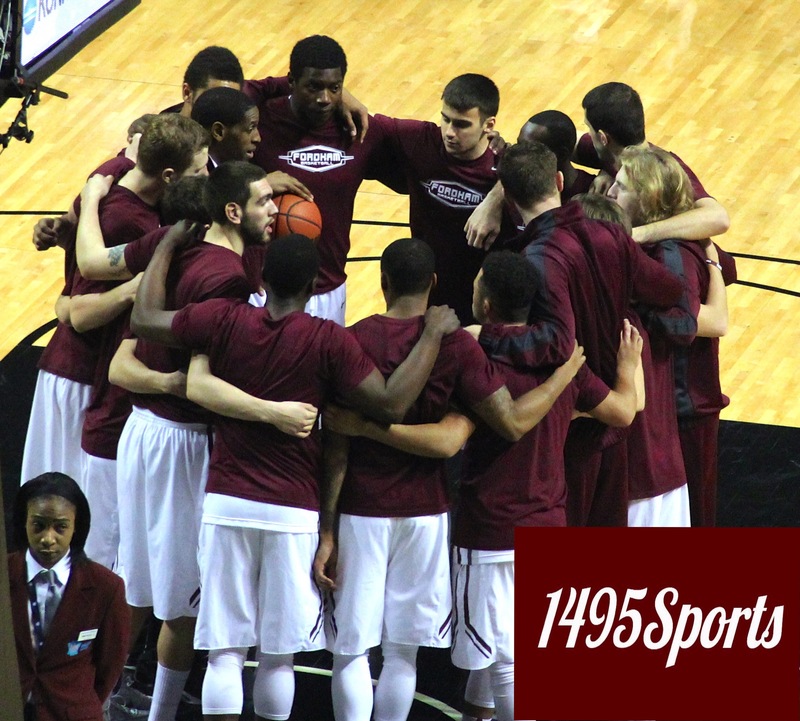 * The 2014-2015 Fordham men’s basketball squad is becoming adept at taking away the ball. Through games of February 4, the Rams are third in the Atlantic 10, averaging 7.0 steals/game, including a season-high eleven in the South Carolina State game on Dec. 31. Junior Mandell Thomas leads the Rams with 46 steals, ranking second in the conference (2.3/game). * Through games of February 4, the Fordham Rams have the Atlantic 10’s third leading scorer, and top freshman scorer, in freshman guard Eric Paschall (17.1 ppg) while Mandell Thomas is second in the conference in steals (2.3/game). The Rams also have the fourth leading rebounder in junior forward Ryan Rhoomes (8.9 rpg) while Rhoomes is seventh in the conference in blocked shots, averaging 1.5/game. * First year Fordham players are currently responsible for almost 58% of the team’s scoring this year (732 of 1272 points) and over 43% of the team’s rebounding (319 of 731).